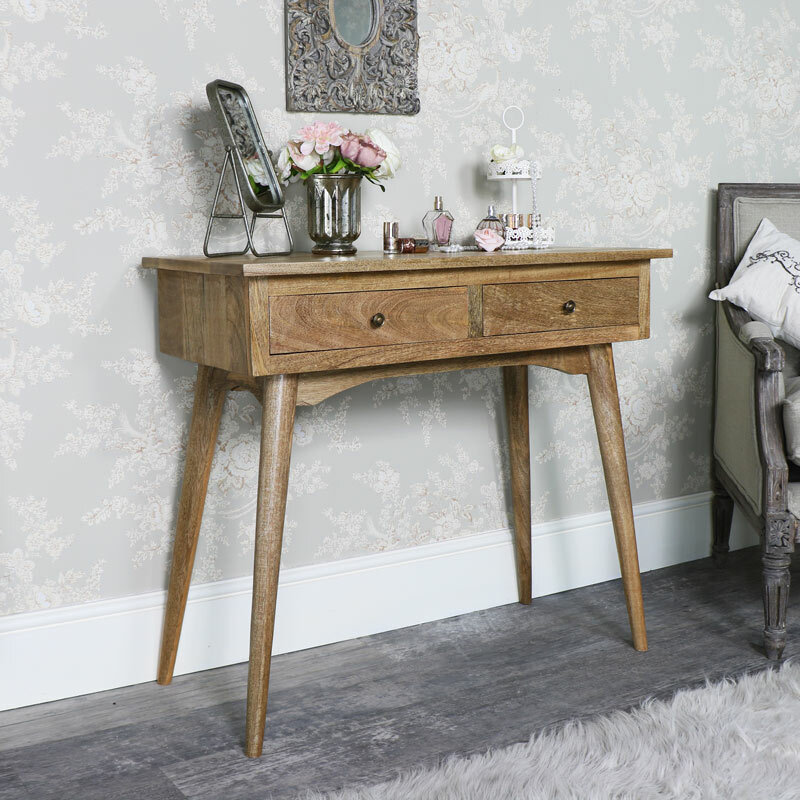 This console table comes from our Oslo Range, this will look great in the living room or hallway. Handmade from 100% mango wood in a classic Scandi style. A great rustic, mid century look that will fit in perfectly with modern contemporary style interiors. Scandinavian inspired, with hints of a retro theme. This is a console table that not only offers a great look for your home but also provides storage with 2 drawers and extra surface space for display. The drawers both feature round brass knobs and the legs come in a pin style that adds a great look. Great for anyone that loves the minimalist look of the Scandi style. 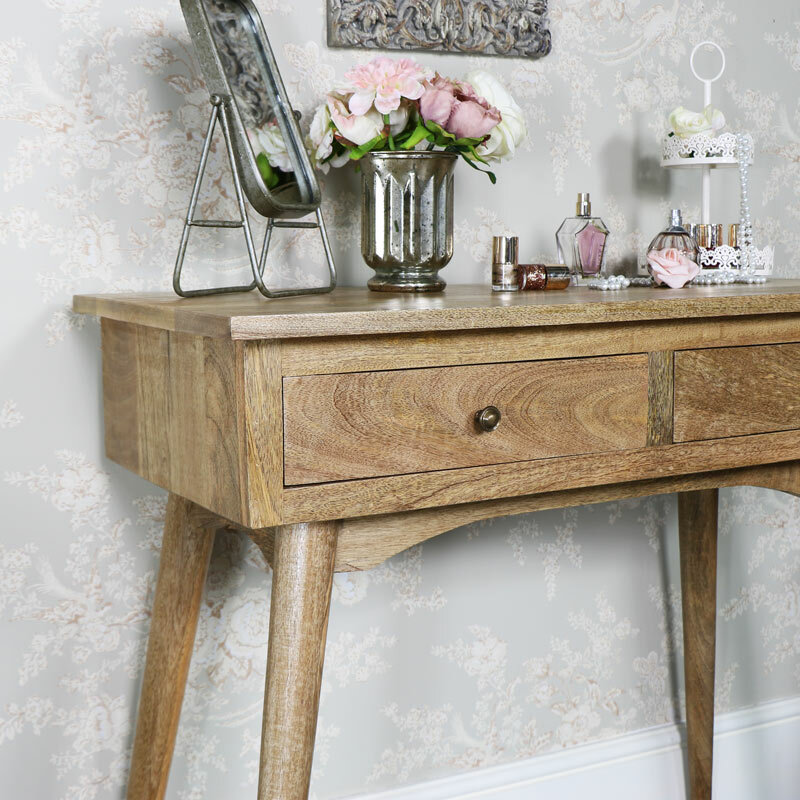 Along with the other pieces in our Oslo Range, this console table will enhance your home decor and create a sense of style and comfortable living. 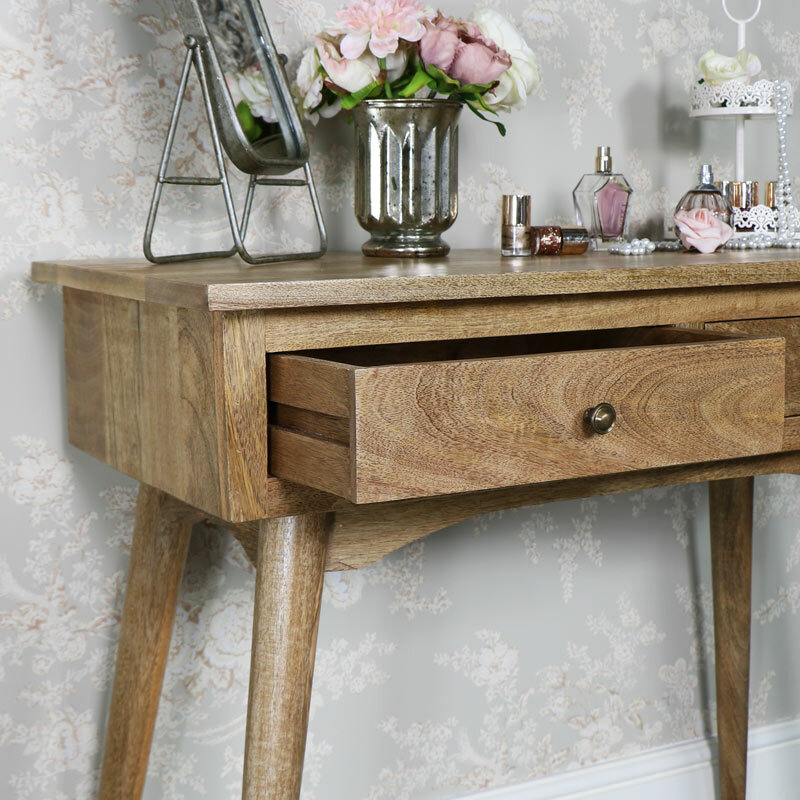 This console table comes from our Oslo Range, this will look great in the living room or hallway. Handmade from 100% mango wood in a classic Scandi style. A great rustic, mid century look that will fit in perfectly with modern contemporary style interiors. Scandinavian inspired, with hints of a retro theme. This is a console table that not only offers a great look for your home but also provides storage with 2 drawers and extra surface space for display. The drawers both feature round brass knobs and the legs come in a pin style that adds a great look. Great for anyone that loves the minimalist look of the Scandi style. 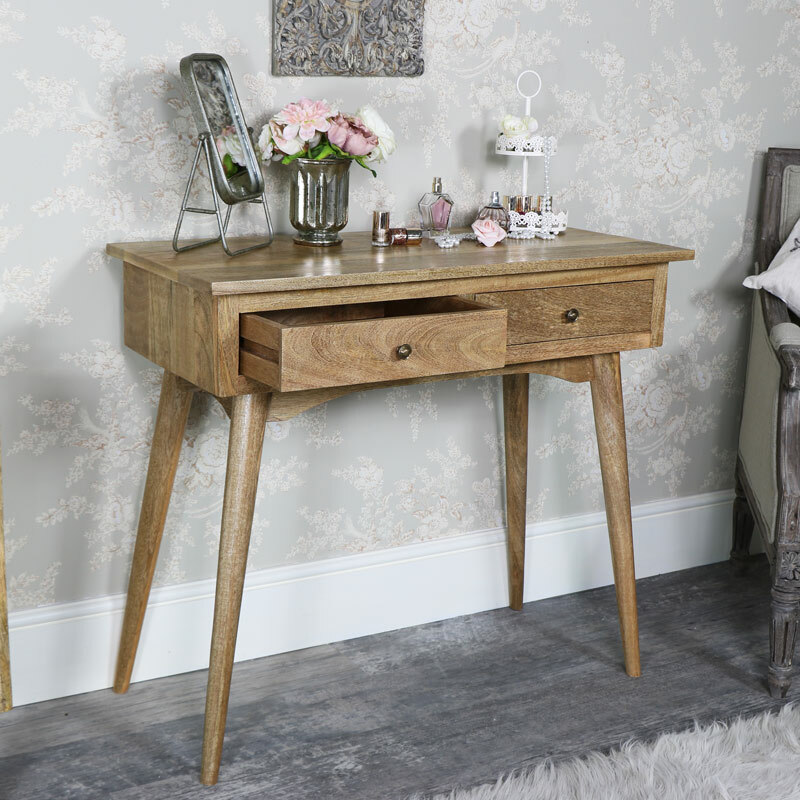 Along with the other pieces in our Oslo Range, this console table will enhance your home decor and create a sense of style and comfortable living.